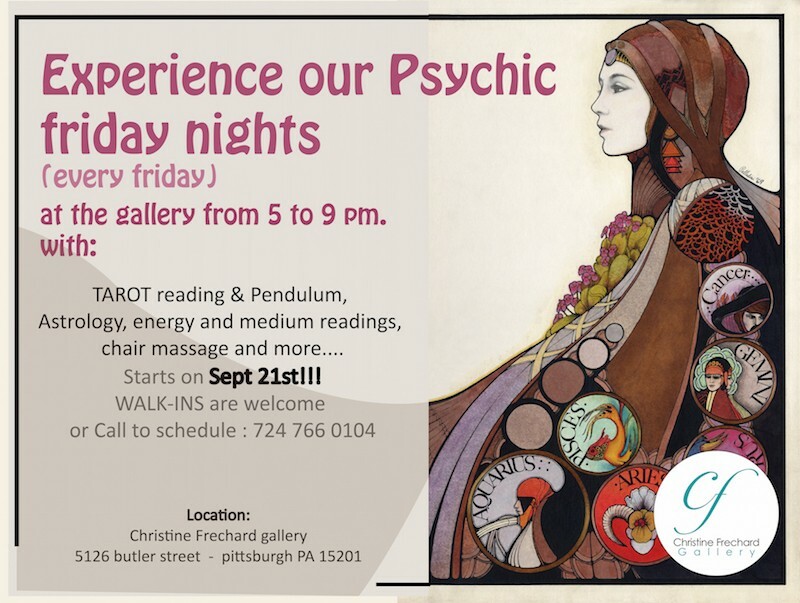 Every Friday night, 3 different Readers with different Reading styles will be at the Christine Frechard gallery, as well as a massage therapist ( chair massage) Most readings are based on $ 1 - 1 min ( 15 min. minimum) except astrology readings, $0 for 15 min. Walk-ins are welcome or email christinefrechardgallery@gmail.com - call 724 766 0104 to schedule ahead.